Ron Kurtz was the originator of Hakomi Therapy and the founder of the Hakomi Institute. On January 4, 2011 he died of a heart attack in his hometown of Ashland, Oregon. Beloved by students and faculty around the world, Ron will be deeply missed. Aspects of Focusing, Ericksonian Hypnosis, and Neuro-Linguistic Programming (NLP) also were part of the synthesis that became the Hakomi Method. Kurtz began to create a therapy that included Taoist-based principles of non-violence and supporting defenses, the Buddhist practice of mindfulness (Hakomi uniquely works with the client IN mindfulness); and unique techniques in somatic awareness. This powerful combination that became Hakomi evoked unconscious core memories, experiences and beliefs, bringing them to consciousness where they could be studied and transformed. A core group of people* began to study with Ron Kurtz in Connecticut, Mexico, and Boulder Colorado in the late 1970’s, helping Ron to develop the Hakomi Method into a teachable form, and together founding the Hakomi Institute in Boulder in 1981 (*Pat Ogden, Phil Del Prince, Jon Eisman, Halko Weiss, Greg Johanson, Devi Records, and Dyrian Benz.) Halko Weiss founded the Hakomi Institute of Europe in Germany in 1982. The Institute and the reputation of Hakomi grew quickly, and trainings were soon being taught throughout the U.S., Canada, and Europe. Ron led the Hakomi Institute until 1992, then continued as a Trainer for the Institute throughout the 90’s, while also creating his individual organizations, Ron Kurtz Trainings and Hakomi Educational Network. He expressed the desire to run his own organization and make spontaneous decisions and changes, unencumbered by the group decision-making process of a large international organization. Ron also began to develop a shorter, simplified version of the Hakomi Method which could be taught more quickly. He started to describe Hakomi as “assisted self-study”, and called his latest version “the Refined Hakomi Method”. He described it as best utilized in small groups rather than individual therapy, and opened his trainings to everyone. This became his focus in recent years, and at Ron’s request, many Hakomi Institute faculty studied this approach with him in workshops he designed. In the Hakomi Institute’s professional trainings in Hakomi Experiential Psychotherapy, aspects of Ron’s recent approach are integrated into a comprehensive, more extensive curriculum. These are further enhanced by our faculty to reflect current discoveries in neuroscience, and to provide a complete training for professionals reflecting aspects the faculty discovers to be most effective in their experience as therapists in private practice. All of the organizations Ron created share a deep appreciation of him as the creator of the Hakomi Method, and for the humor, generosity and love he conveyed in his trainings. Ron was an internationally renowned therapist who led workshops and trainings throughout the world. 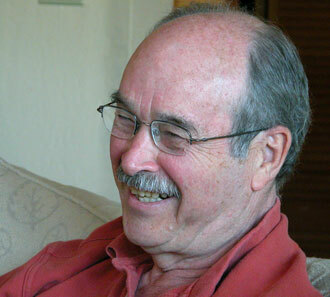 He has taught at many institutions, including Indiana University, Santa Barbara Graduate School, and Esalen Institute. He was the author/co-author of three books: Body-Centered Psychotherapy: The Hakomi Method; The Body Reveals (with Hector Prestera), and Grace Unfolding: Psychotherapy in the Spirit of the Tao-te ching (with Greg Johanson). He was a founder of the United States Association for Body Psychotherapy and was given their Lifetime Achievement Award in 2008. He was also awarded an honorary doctorate from the Santa Barbara Graduate Institute. He is survived by his wife Terry and daughter Lily. Terry maintains a website which sells Ron’s writings and videotapes: Ron Kurtz Educational Materials. Visit the USABP website to read what people have written about their experiences with Ron Kurtz, and to post your own message.